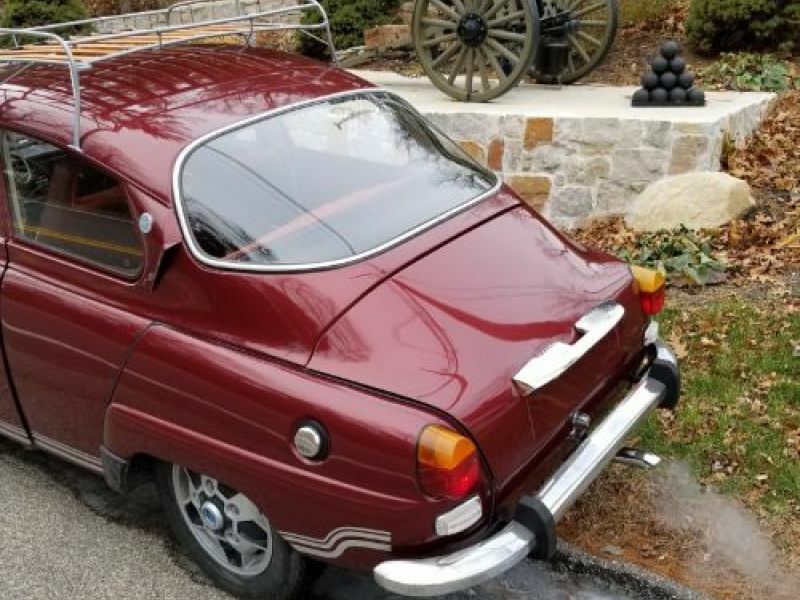 1973 Saab 96 for sale - Classic car ad from CollectionCar.com. 1973 Saab 96 with Maroon exterior, the paint shines nicely, but it does have some cracking and has been touched up. The interior is a maroon cloth with a small tear in the bottom of the back seat. The top of the dash has a couple of cracks in it but was patched and overall very clean. The car runs great and does everything it should. The engine runs nice, the transmission shifts smooth and all gauges work except the clock. All the lights work. It has 5 Saab soccer wheels, a roof rack and a working tach. This car was undercoated when new. In the engine compartment we cleaned the undercoat off and we had the engine detailed. Did a tune up, valve cover, gaskets, plugs wires oil and filter change and buffed and waxed the exterior. It may not be a show piece, but a class A driver and nice to take to shows. The mileage is 28,784, but do not know if that is actual. The car had to have been stored inside and there is no rust underneath as you can see in the pictures. The last time this was registered was in 2014-see the photo of the inspection sticker. New Hampshire does not give a tile on cars older than 2000 but you will get a Bill of sale.